Quiet as a mouse, the VW Golf cabin is nicely hushed from the outside elements. Road noise is minimal, and the 2017 Golf is comfortable, in control and serene, making life pleasant for occupants. The Volkswagen Golf is a very good car and if the UK sales numbers are anything to go by, here in Australia people might be well advised to check one out. Actually, in UK the Golf was the fourth best-selling car. Here in Australia, the Toyota Corolla, Mazda 3 and Hyundai i30 were pulling the cash strings of new car buyers in 2nd, 3rd and 4th place respectively. They were behind the Toyota Hilux, which was in 1st place. It’s obvious from the new car sales information that in Australia people are looking for a mid-size car to buy. So, if you’re looking to buy a new mid-size hatch, the VW Golf is a complete car with a lovely cabin and seats, room and nice ride. The engines of the latest VW Golf fizz along nicely, and, of course, the GTi model is arguably the best hot-hatch – though the new Honda Civic Type R has something to say about that! 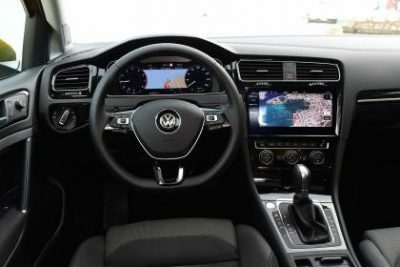 For the 2017 VW Golf, there have been some new things placed inside the facelift model that are worth mentioning. The cabin of the Golf has always been comfortable, functional and roomy, and one of the aspects about the interior of a Golf I’ve always liked is the deep luggage bay that can carry a surprising amount of gear inside. A classy rimless rear-view mirror looks really good and there have been some changes in the trim materials. Beautifully crafted seats are exceptionally comfortable, and the layout and dash design is very functional and pleasing on the eye. Notable changes to the displays and control interfaces have occurred to make it look more modern and sophisticated. Larger touchscreens and gesture control for the touchscreen are some of the new technology. The system has an “active functions” feature which gives the ability to show map data behind other functions that are actively playing. This recent feature is similar to Audi’s usage of the ‘Virtual dashboard’ design on the TT models. Prices for the new Volkswagen Golf start at around $24k for a six-speed manual Golf 110TSI. This is competitive when you compare it to a new Corolla Hatch. The top of the range 110 TDI Highline with a 7-speed DSG gearbox you can get for well under $40k. So, in between these two figures you’ll find a Golf to suit your tastes. Trendline, Comfortline and Highline are the trim levels you can step up to if the base models are short of a few gadgets. But, even the base model 110TSI, I think, is a nicely equipped model in the Golf line-up with all the necessary equipment to make your journey nice and relaxed. Safety systems in the 2017 VW Golf have been updated to keep pace with what’s offered on new cars these days. Depending on the model there are safety features like a new camera- and radar-based emergency braking system with pedestrian recognition, intelligent cruise control and a traffic-jam semi-autonomous driving system which pilots the car at up to 60 km/h. These are very good features that aid to the satisfying way the Golf caters so well for the family. 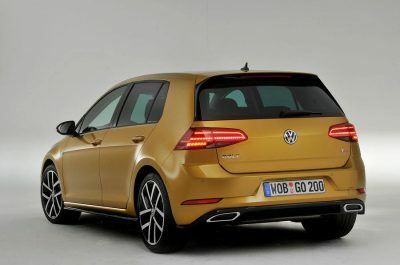 Out on the road, the VW Golf has a nice ride that cushions the occupants well over harsh road conditions. 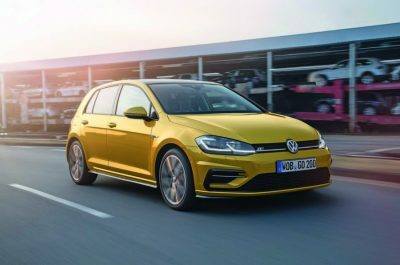 You do have the option to equip your Golf with a suspension control system that can enable you to select various sport settings that are linked to the engine and damping systems. Most people will enjoy the Normal setting where the blend of body control and refinement is first class – in fact I think this could be the class leader in this area. The steering feels well-weighted and accurate, doing every driving situation in both the city and country with ease and accuracy. Acceleration is good and the car holds itself very well through the corners. The engines have been tweaked for 2017, and you’ll find more horsepower under the bonnet. A brand new seven-speed, twin-clutch gearbox is available for the more powerful Golf models. A new 1.5-litre, four-cylinder turbo petrol TSI engine is a strong performer, and it replaces the 1.4-litre TSI motor. It is very economical and a joy to drive. Boasting direct fuel-injection and variable timing on the camshafts, the engine is able to switch off two of the four cylinders at light loads for even better fuel economy. Spend some time in the new VW Golf and you’ll see why it is still first choice for many people. The high level of cabin quality, technology and style keeps it as the clear winner in its class. 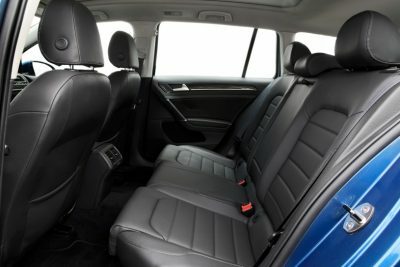 Even the standard seats in a Golf 110TSI are very comfortable. Long term, these are a joy to live with. For any more information on the new Volkswagen Golf or, for that matter, any other new car, contact one of our friendly consultants on 1300 303 181. If you’d like some fleet discount pricing (yes even for private buyers! ), we can submit vehicle quote requests out to our national network of VW dealers and come back with pricing within 24 hours. Private Fleet – car buying made easy!